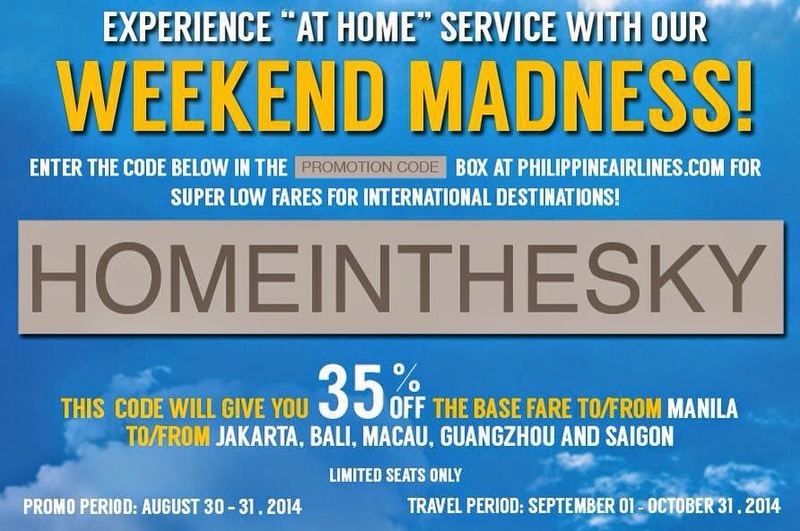 Philippine Airlines Promo: Get ready to fly with your home in the sky! Get a 35% discount to these international destinations when you use our promo code. 2. Choose your destination from the list and type in your route. For example, type in Manila to Bali / Bali to Manila (round trip). 3. Select dates within the travel period of this promo. 4. Choose the number of passengers. 5. Enter the promo code. 6. Click on the "Click and Book" button.